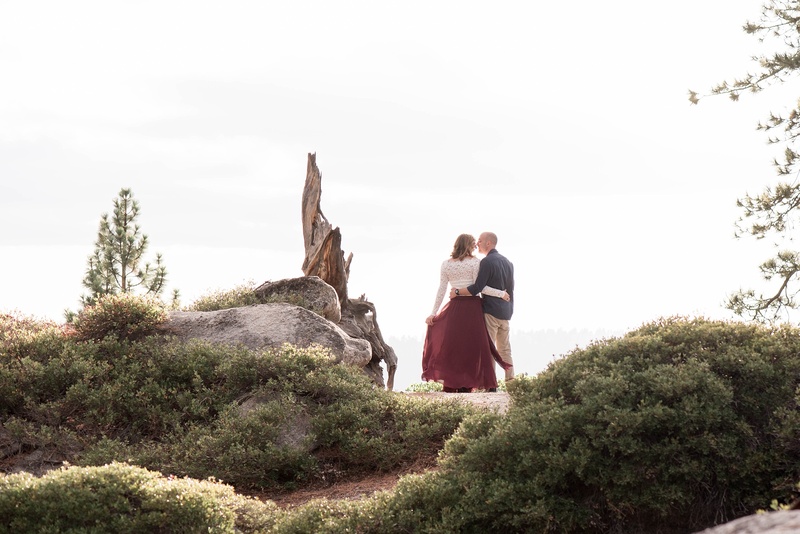 About a year ago this time, Lauren contacted me about her wedding photography. I wasn’t shocked to hear from her; after all, she’s from the same small town as I am. 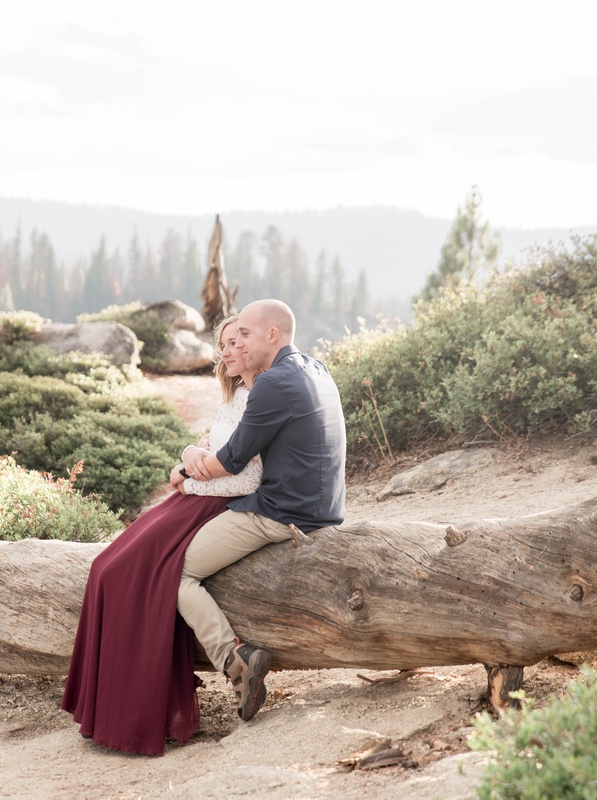 However, I didn’t realize how much we had in common until we started planning hers and Will’s Yosemite engagement session! You see, Will and Lauren are adventurers. They go skiing and snowboarding multiple times a year. They skydive. 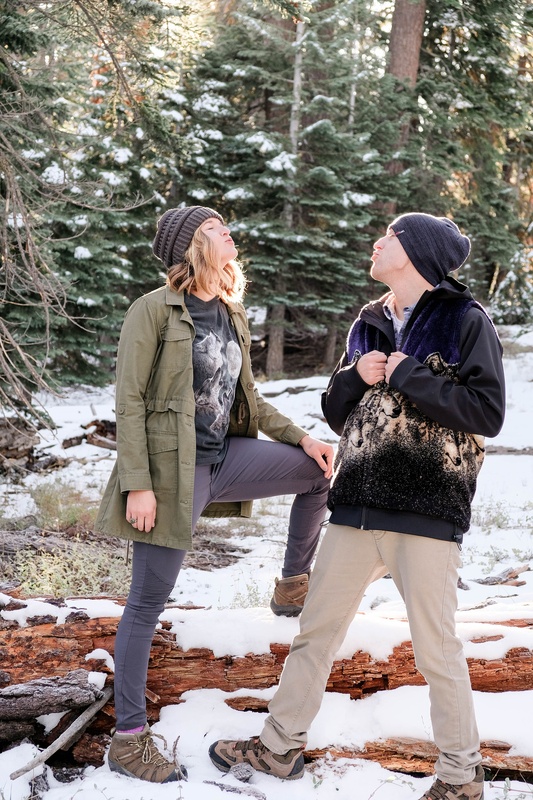 They pack up backpacks and go camping in the wilderness with friends, hike long hikes, and camp “for real” (as opposed to my version of camping, which involves a cabin, electricity, and running water). They pick up their lives in Boston and move 3,000 miles away to the west coast for a job, and that’s AFTER Lauren’s move from Newberry to Boston in the first place! 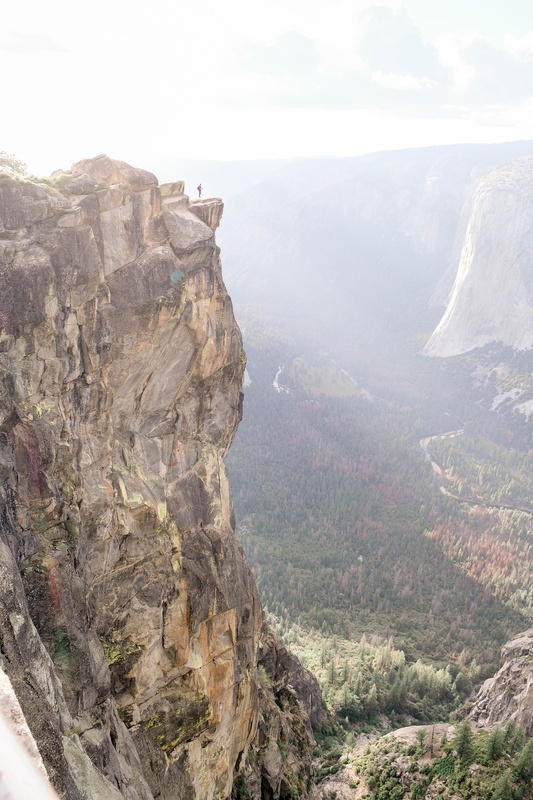 I like to imagine that I’m an adventurer as well, so when Lauren told me that she and Will are living in California, I suggested we do a Yosemite engagement session, and she booked my flight and an AirBNB near Yosemite that very week! 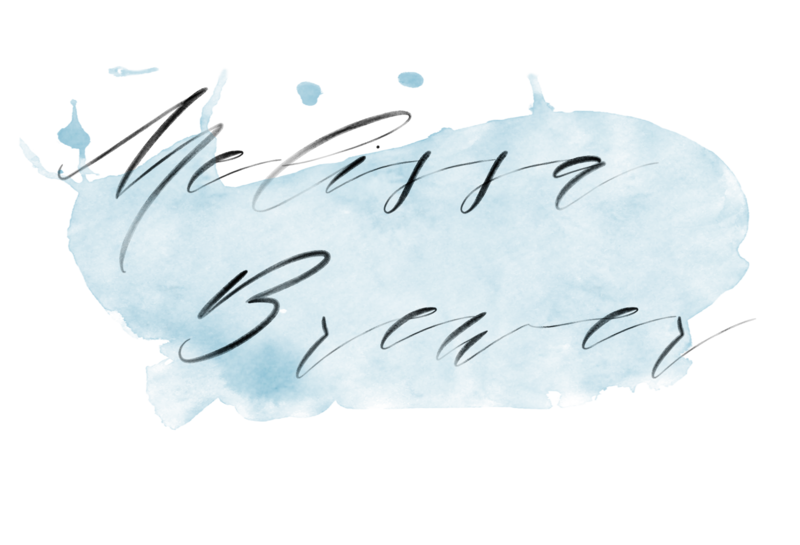 So, at the end of September, my friend and second shooter, Mary Louise, and I packed up our things and headed to California! 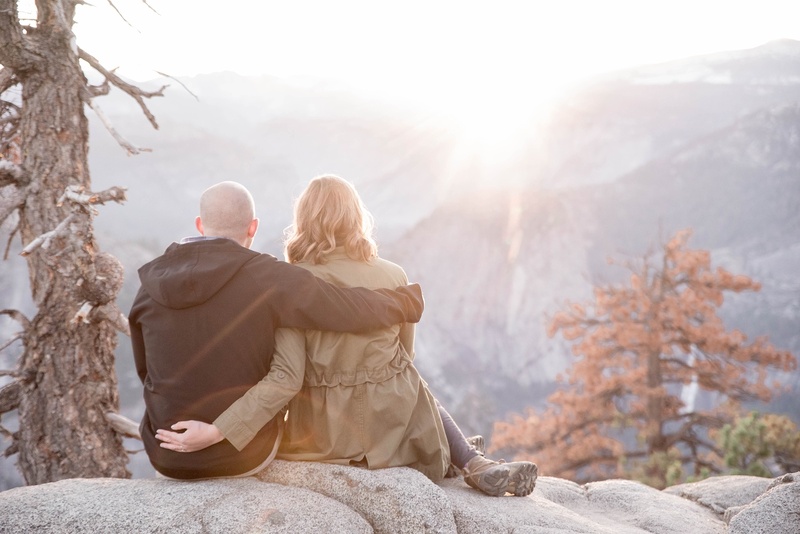 We met with Lauren and Will, got checked into our AirBNB, and set our alarms for 4:30am so that we would get to Glacier Point in time for sunrise. Let me tell you, that early morning wake-up call and 27 degree temperatures were TOTALLY worth it when got to watch the sun rise over Half Dome. Lauren and Will were the perfect pair for this adventure, and were just giddy with love and excitement for their session! After a couple of hours at Glacier Point, the sun was getting high enough in the sky that we wanted to head back down towards Yosemite Valley, but as we passed snow-covered pines, I made everyone stop for some wintry photos. I mean, it’s not often that you get to experience snow in September! 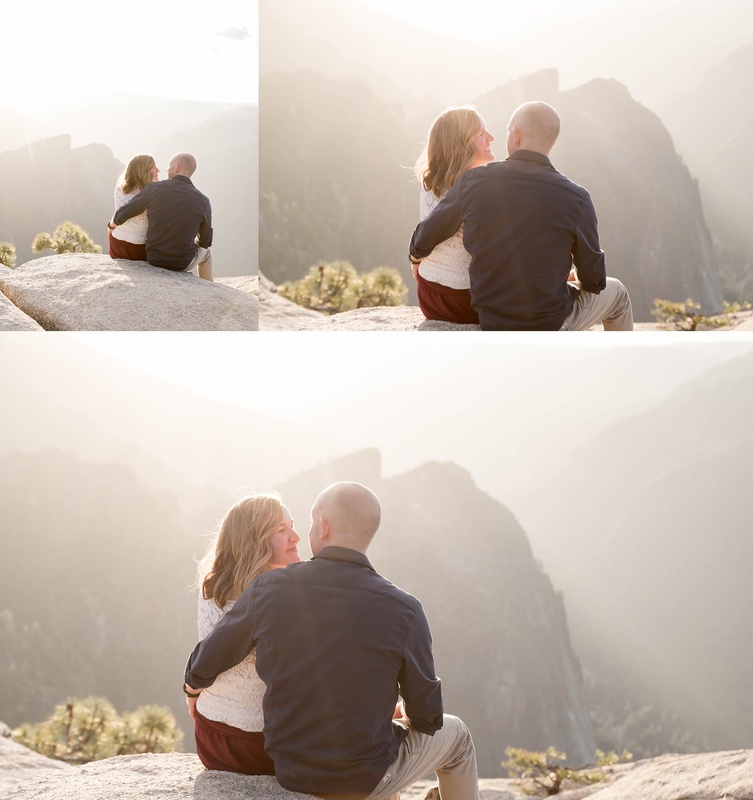 Obviously, this level of silliness is not typical in my sessions, but hey, nothing about this day-long Yosemite engagement was typical! 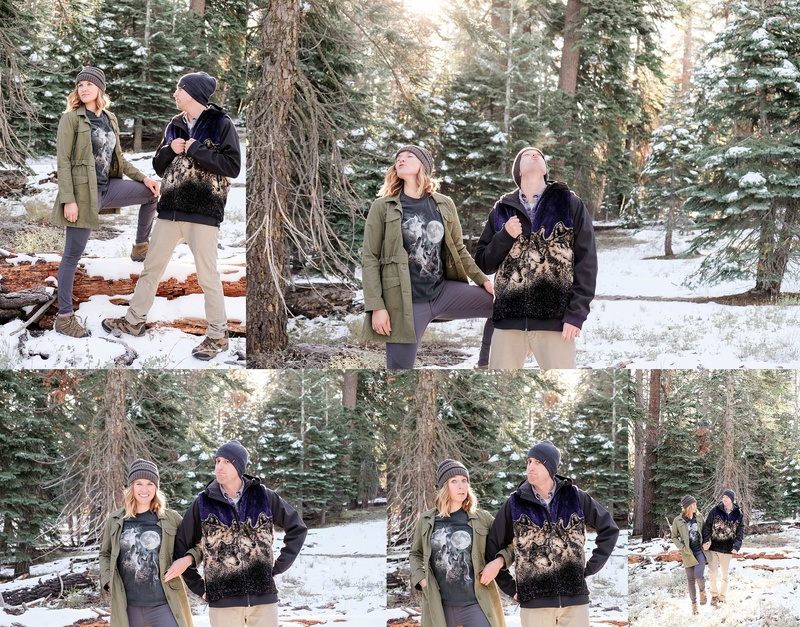 Fortunately, we had time (and gorgeous light and snow) enough to do more than just lupine photos before heading into Yosemite Valley for the remainder of the morning and afternoon. As late afternoon approached, we all changed yet again and headed back up, this time reaching our highest elevation of the day at 7,700 feet above sea level. 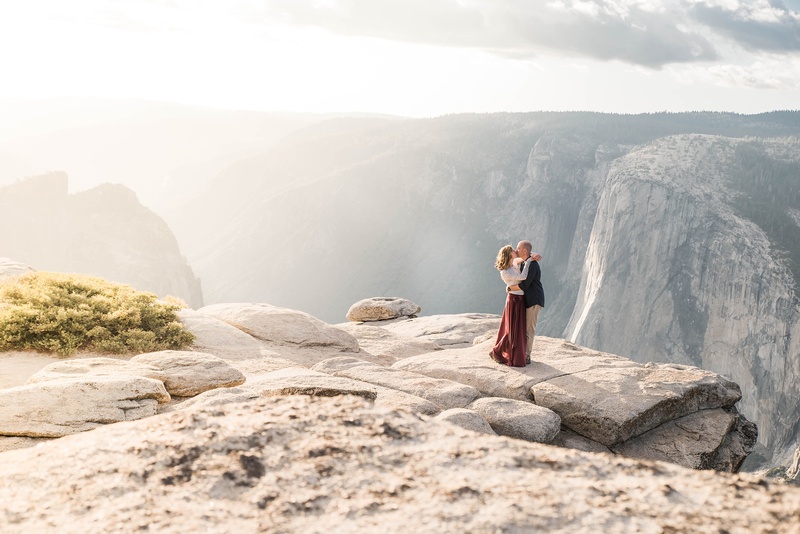 When Lauren and I were planning their Yosemite engagement, we knew there was one spot we just had to go. 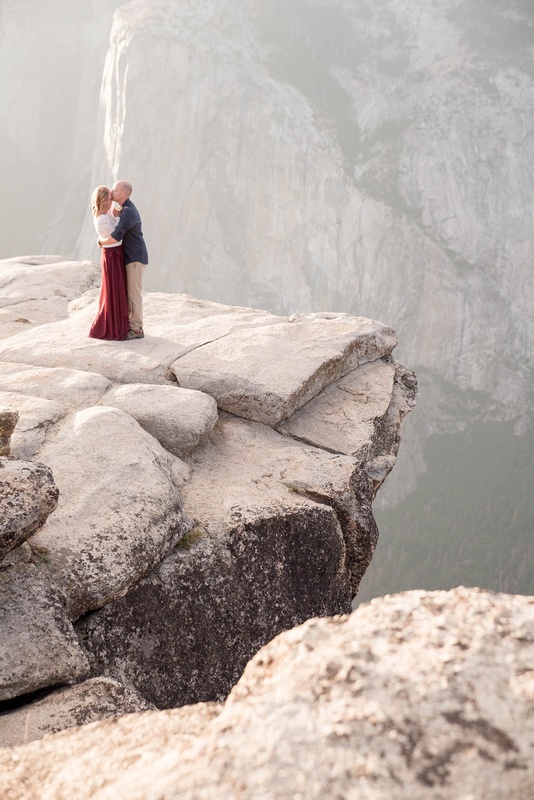 I researched topographical maps, Google Earth, and sunset times to death in the months leading up to this, but I never could have imagined how much beauty (and height) were were about to witness. 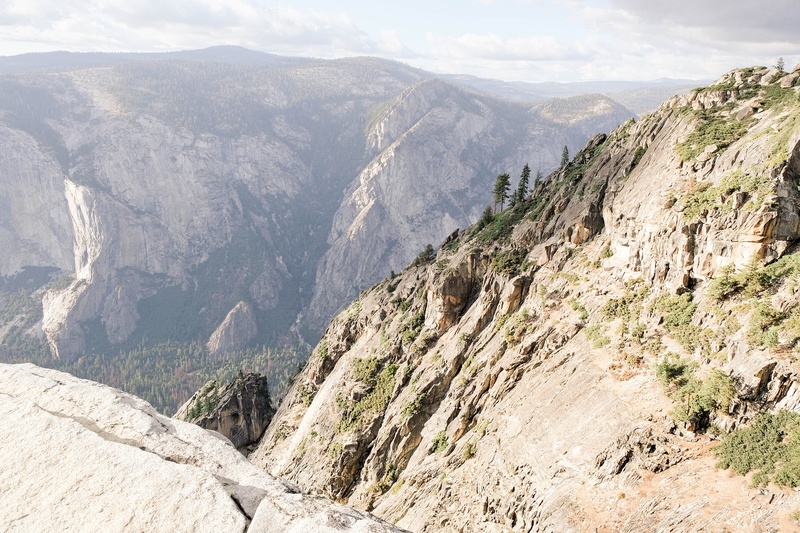 The hike to Taft Point in Yosemite is about 2 miles long, and winds through a thick forest of ponderosa pines and junipers. 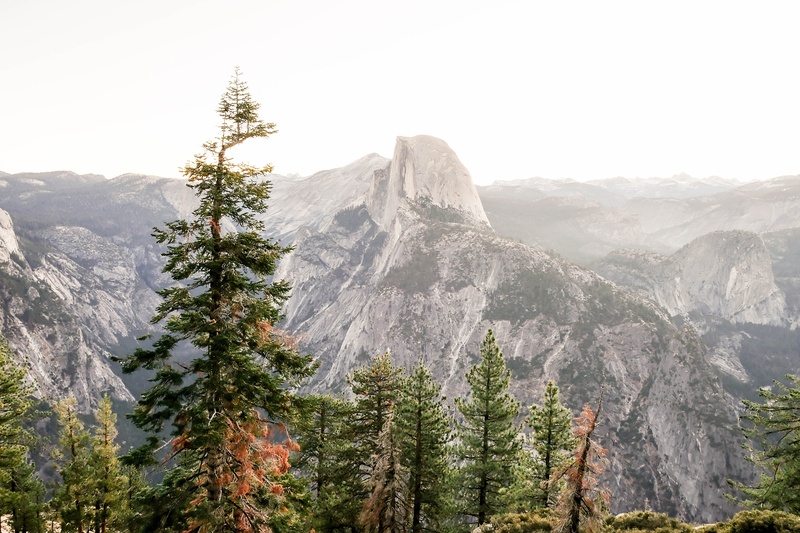 It’s hard to really see how your elevation is changing or what might be on the other side of these fragrant trees, until you suddenly make the last turn, where you’re faced with an absolutely breathtaking view of the Fissures and El Capitan. 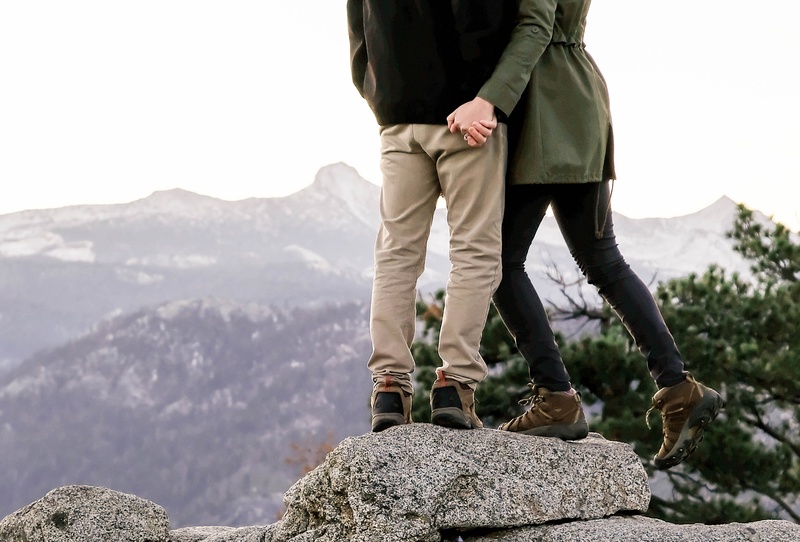 Once here, Lauren and Will changed yet again, and we explored the craggy bluffs, enjoying the constant change of the light’s character as sunset approached. I never knew a sunset could be so stunning. There is something magical about the way the light refracts off the mountains, then suddenly beams through the valley tunnel, as if colorful stage lights had been switched on. I can’t put it into words, but there’s no need to try. These photos speak for themselves. As soon as the sun disappeared over the mountains, the temperature quickly dropped, and we rushed back down the trail as quickly as possible to avoid bears. I can’t view these images without instantly recalling the rush of joy, fear, amazement, and gratitude at having been able to experience this with such a wonderful group of people. 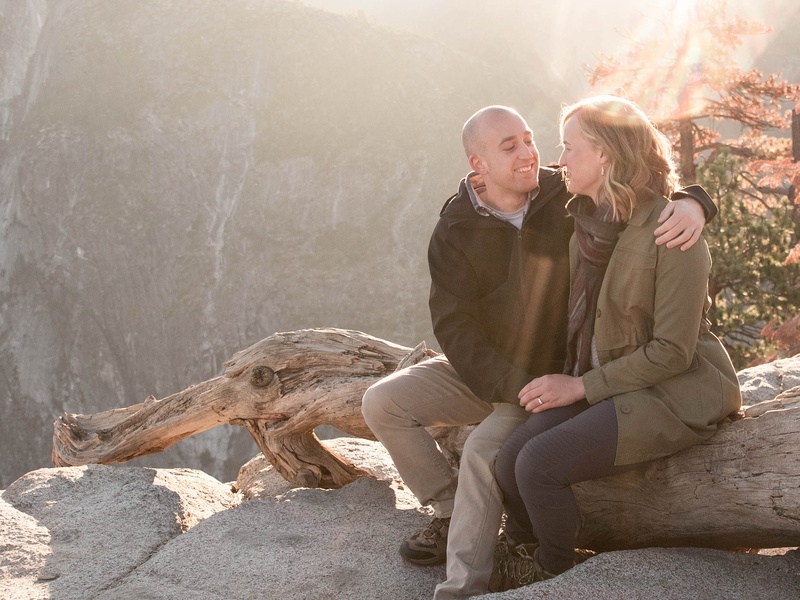 Lauren and Will, I can’t thank you two enough for letting me capture your Yosemite engagement, and for spending 36 hours with two talkative photographers! 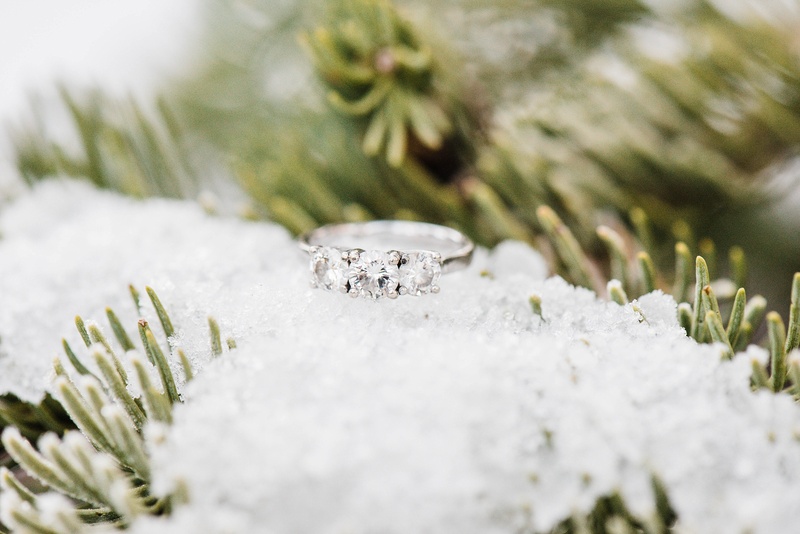 Your Smoky Mountain wedding will be amazing, and I can’t wait!